I'm a PhD student in cultural evolution, with a dabbling interest in programming, Haskell, etc. I noticed that in several places (your blog, and certain video interviews) you expressed an interest in understanding how cultural innovations spread (eg. programming paradigms) and what conditions favor and inhibit innovations spreading. 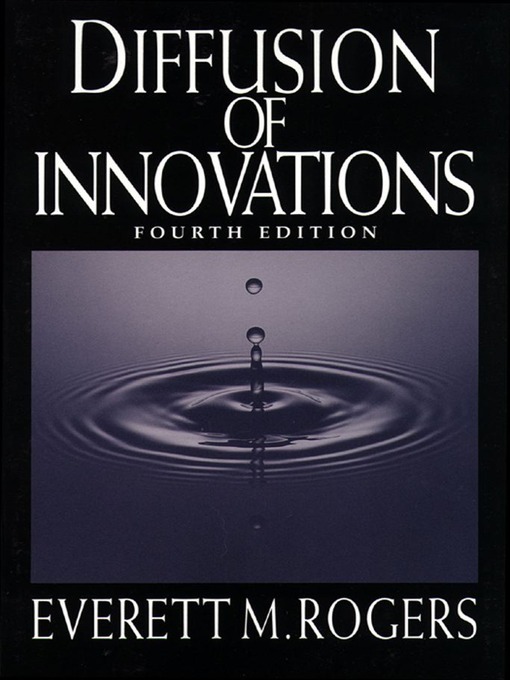 I wanted to recommend a book to you on this topic, Everett Rogers's 'Diffusion of Innovations'. 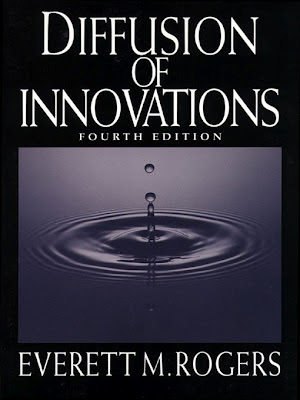 It is a very well known book across various social sciences, and it is both readable and thought-provoking; I think you might find it interesting for a principled understanding of why (programming language) innovations have spread as they have. Additionally, I would be interested in hearing any specific thoughts or ideas you might have on studies or questions that my field might try to answer about the spread of programming languages and paradigms; I would be interested to combine my work and non-work hobby in some sort of way. Thank you for the recommendation, Marius! To answer you question: I want insight into the factors that make programming languages successful. Why did Perl, PHP, and Ruby capture a larger market share among developers than Racket, ML, or Haskell? It seems clear that one factor is what economists call 'Network Effects', but I wish to develop a more nuanced answer. * visibility of use (i.e. filtered water is invisible - if it was died blue people might adopt it faster). How does this apply to programming language acceptance....? no wonder that racket isn't widely accepted: racket community is fucked up and unable to produce even one decent book about the language! I think that here applid the same "Black Swan" idea. The interesting thing that it easier for simple language to gain market share because it makes a much less time to produce one and as the consequence we have much more attempt and as the result more likely to get the positive feedback from randomness. But of course it just one dimension of the problem.